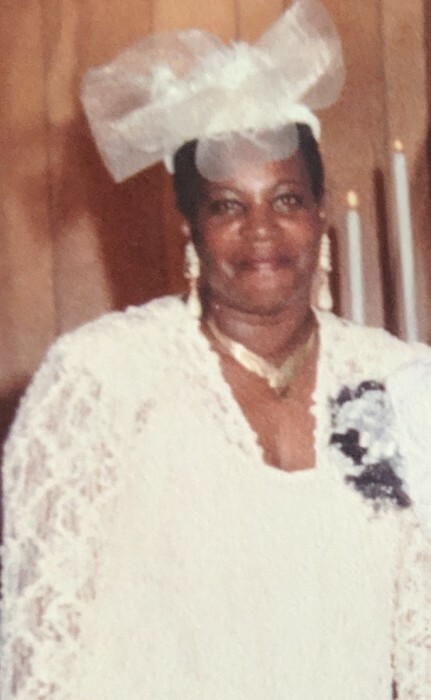 Mrs. Margie B. Cummings, 75, of Clinton, NC, formerly of Edisto Island, SC, entered into eternal rest on Wednesday, April 10, 2019. The relatives and friends and friends of Mrs. Margie B. Cummings are invited to attend her Funeral Service 11:00 AM, Monday, April 15, 2019 at Edisto Presbyterian Church, USA, 1890 Cypress Bottom Road, Edisto Island, SC. Interment - Edisto Presbyterian Church, USA Cemetery, Edisto Island, SC. She was preceded in death by her husband, Ashley Cummings; parents, Toney Bligen, Sr. and Queen Esther "Sadie" Jones Bligen; children, Carmen Bligen Aames and Marcellous Duprell Bligen; sisters, Celestine Green and Henrietta Mincey and brother, Toney Bligen, Jr.
Mrs. Cummings is survived by three daughters, Denise E. Bligen of Raleigh, NC, Patricia B. Jones (Carl) of Charleston, SC and Pamela D. Bligen of The Bronx, New York; her grandchildren, Alexis C. Bligen, Brittany Fuller, Adrienne Fuller, Avery Jones, Shakiya Aames and Peyton Jones; four great-grandchildren, Tayler Grier, Londynn Grier, Pierre Grier and Brielle Fuller; her siblings, Deloris Harvey of Bronx, NY, and The Reverend Doctor Mildred McManus (Rev. Moses) of Altamonte Springs, FL; two aunts, Abbie Dean Meggett and Lydia P. Jones, both of Edisto Island; four brothers-in-law, Curtis Cummings of Clinton, NC, Jimmy Cummings of Sparta, GA, Jeremiah Cummings (Belinda) of Seneca, SC, and James Cummings (Yvette) of Brooklyn, NY; four sisters-in-law, Gladys Cummings-Primas and Patricia Mapp, both of Sparta, GA, Juanita Pope of Clinton, NC, and Linda Cummings-Primas (Richard); seven nephews and two nieces; and a host of cousins and friends. The family will be receiving friends at 3411 Farmers Market Drive, Charleston, SC.